Tasty Donuts In Regensburg – Sunshine. Whimsy. Tacos. The Dunkin Donuts brand has made it’s way to some of Germany’s larger cities, and I go out of my way to eat there whenever I’m in Frankfurt or Berlin. (The Pflaumenmus, plum jelly, is absolutely delicious.) Dunkin has thus far failed to reach Regensburg, however. Up until now, the only place that really had Donuts in town was McDonald’s McCafe, and I use the word donut very generously when speaking of McDonald’s. The bakeries in Bavaria all serve Krapfen at certain times of the year, but a Krapfen isn’t quite the same thing as a Donut. It’s very similar, but it’s not quite the same. 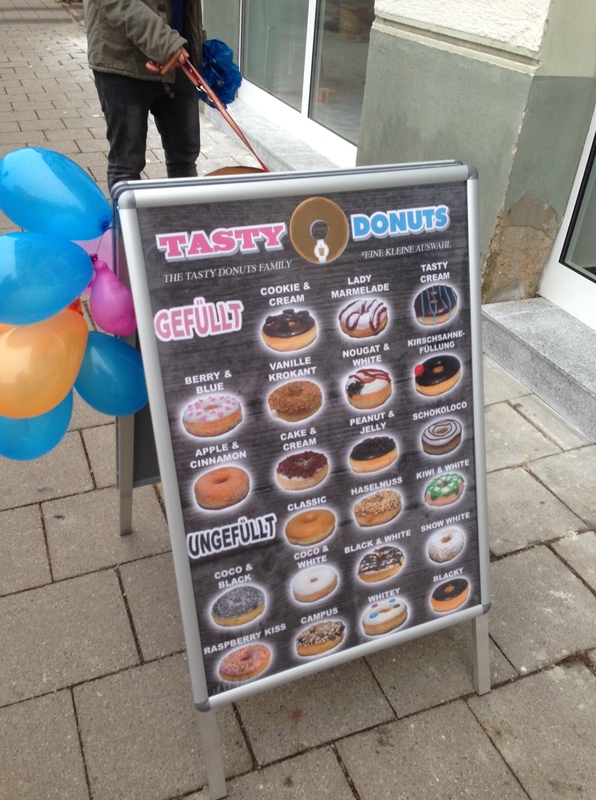 Enter Tasty Donuts & Coffee, a German chain that tries to mimic the success of Dunkin Donuts. I have now tried their “6’er Box.” They have a “12’er Box,” but I’m eating these without assistance and twelve is just too many for me alone. Top row: Classic, Rasberry Kiss, Tasty Cream. 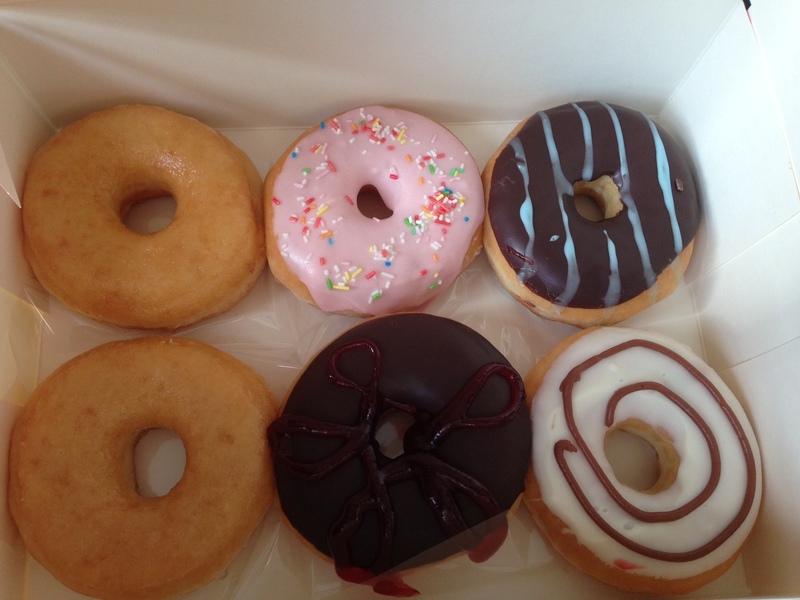 All in all, these were very tasty and I’m pleased as cake donuts that we have one in Regensburg now. What’s your favorite local donut shop? We have Tasty Donuts in Bamberg as well. They´re okay, but I can´t see myself going there again, as DD is in Erlangen. YIPPEEE! TD has a strange Popcorn flavor as well, with Popcorn on it. What the what??? We also have the “whitey” and “blacky” flavors that would NOT go over well in the States. At all. Omg. Whitey and blacky. What were they thinking!? Cracks me up every time. Where about in Rgbg is it? The pavement looks like that next to the post office, but I´m not quite sure. You almost had it- it’s across the street from the post office next to the Bahnhof. I think the occasional donut treat is not a deterrent to good shape. It might actually be useful to cheer me up in the upcoming examination time. We have Monkey Donuts here in Hamburg. But I’ve recently realized that I don’t like them as much as Dunkin’ Donuts because they use melted chocolate on top instead of frosting. I miss the frosting! We have a Tasty in Frankfurt and I fear it’s going to do badly now that we have not one but two Dunkin’s. 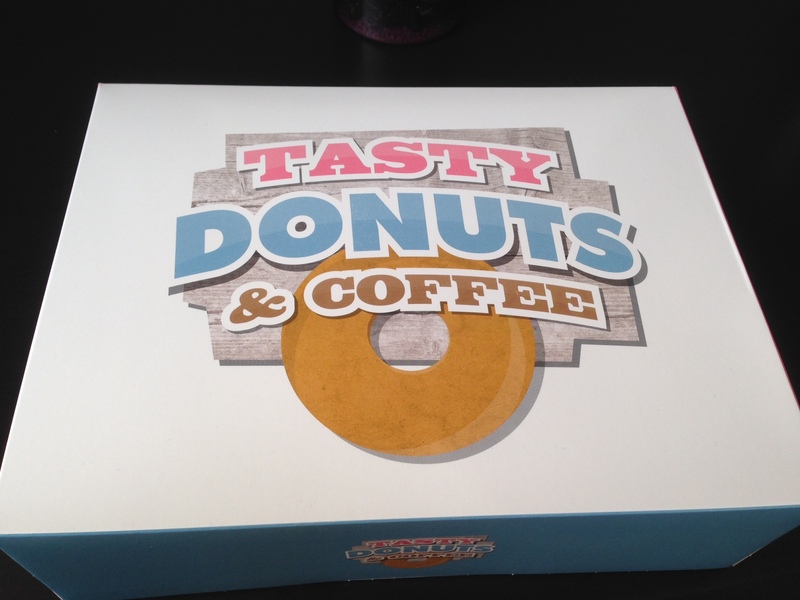 I love Tasty’s donuts though – they are well worth eating gluten for!